Whether you were lounging on the beach or trying to drown out the noise of your parents asking what you’re doing this summer (I’ve filled out a ton of applications, Mom, like at least one and a half…), the tunes were definitely pumping during Spring Break. We picked a few of our favorite listens from the weeks away from Wes, so check out these new releases if you haven’t already! The War on Drugs has returned and reminded us what we have been missing from modern rock; a contemporary band taking notes from sixties classics. The band’s third album, Lost in the Dream, is a gift to its fans. 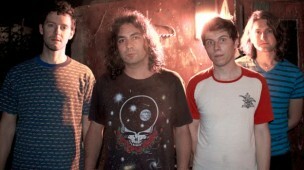 The War on Drugs was challenged to match the success of their second venture, Slave Ambient, but accomplished the feat with a healthy infusion of Bob Dylan-esque vocals, good pacing, and a spectacular mood-setting guitar. As a whole, Lost in the Dream is going to be essential driving music for summer road trips. Adam Granduciel founded The War on Drugs with Kurt Vile in 2005, and even after Vile’s departure in 2008, the band has not missed a beat. Lost in the Dream makes it clear that The War on Drugs is Adam Granduciel’s band. His vocals and guitar tone give the band a classic rock sound reminiscent of Faces and Tom Petty and the Heartbreakers. Each song in the album is a pleasure to listen and, from beginning to end, is easy to get lost in. Lost in the Dream begins with a couple of outstanding feel-good songs that set the mood for the whole album. “Under the Pressure” is a long song that maintains its energy over its almost nine minute duration. The track exudes a constant pace, adding on more components as it lengthens, that is reminiscent of U2 at their best. The outro at the end sounds much like the slower tracks in Lost in the Dream, such as “Suffering.” Between the first six minutes and the outro, “Under the Pressure” spells out what to expect from the album. The album’s single, “Red Eyes,” is definitely going to be a summer anthem. The faded vocals and the simple yet effective guitar make listeners want to get up and move. I can just picture driving to the beach with the windows down listening to “Red Eyes,” and a warm breeze rushing past. Maybe I am weary of the winter. Perhaps I am just placing hope in bands like The War on Drugs to usher in warm weather with their music. Finding new music as the seasons change is always fun, and Lost in the Dream is definitely an album meant for spring and summer listening. “My daddy’s a gangster,” exclaims ScHoolboy Q’s daughter in the very first line of ScHoolboy’s new album, Oxymoron. The following hour is a fast-paced dive into the newfound extravagant lifestyle led by the rapper out of Los Angeles, as he explores and contrasts his past experiences with gang life and drug dealing to his life as a father and a mainstream hip-hop star. Oxymoron marks ScHoolboy Q’s major record label debut after his first two albums were released under Top Dog Entertainment. The album includes compelling features from a wide range of artists, from fellow TDE member Kendrick Lamar, to west-coast hip-hop legend Kurupt, to 2 Chainz. What sets Oxymoron apart from most releases today is its ability to successfully merge today’s sound with an early-2000s gangsta rap theme. For example, “Collard Greens,” the album’s first single, is a head-nodding party song with themes common in today’s hip-hop: a life of luxury, drugs, and women. “Collard Greens” comes directly after “Los Awesome,” a track straight from the streets of L.A. and ScHoolboy’s life as a Hoover Street Crip. Oxymoron continues its twists throughout the record, as Q brings something new to the table in almost each song. Just as you think ScHoolboy has settled into an album strictly full of braggadocio (see “What They Want”) and intricate, detailed stories from his days as a Crip (see “Hoover Street”), he switches gears entirely in “Studio.” “Studio” has one of the more melodic, catchy hooks on the album and is as close as ScHoolboy gets to a love song. After being one of the most hyped albums in recent memory (fellow rapper Mac Miller said in an August 2013 interview with HardknockTV that Oxymoron is “better than Kendrick’s album,” referring to the critically acclaimed Good Kid, M.A.A.D City), Oxymoron did not disappoint. While it will be interesting to see what direction Q goes with his next project, this album solidifies Q’s status as a top-of-the-line hip-hop artist today. Seeing a band one loves enter new territory can be both exciting and frustrating, especially when that band has explored and diagrammed their usual habitat as thoroughly and wonderfully as Real Estate has over the course of their first two albums. Their guitars glistening and vibrating, the New Jersey natives have all but cornered the market on the brand of intricate relaxation that their songs are known for, the expansive and gorgeous sense of calm that seems to coat the chords of their music. 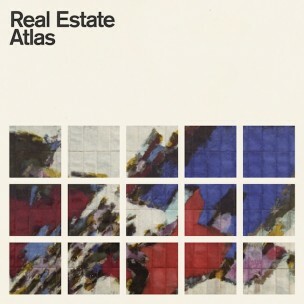 As such, if you ever told me that a Real Estate album might make me sad, or induce some sort of prolonged reflection, I would wave you off, confident that the band was comfortable doing what they do so well for the length of whatever suburban eternity in which their past two albums have strolled. Atlas, the band’s most recent album and its best record to date, has answered my hypothetical doubt, bringing with it the familiar beauty and a new foreboding gravitas. Atlas is a haunted piece of work, a collection of songs run through by the spectre of adulthood, of responsibility, of failure and loss. Its tracks seem to bloom from some kernel of melancholy that somehow weathered the carefree summers of all the band’s previous work, and is now here to rear up quietly in the space of that morning after. Atlas is the mild hangover: the just-there thrumming of the temples that demands that you squint in the sunlight, and double check the patio for any remaining trash. This is not to say that the record is an aggressively upsetting one (we are still talking about Real Estate, after all). Rather than lunge at some great melodramatic sorrow, the album sets its sights on a more subtle sense of unease: the feeling that somehow, somewhere along the way, something is going to break, that there’s something missing in the magic, and now the sunrise means mornings in the office. Things are quiet now, as we were all told they were to supposed to become, but in that quiet seems to lurk something sinister. Call it ennui if you want. “Just over the horizon/That’s where I’ll always think you’ll be/It’s always so surprising/To find you right there next to me,” sings Martin Courtney, on the album’s second-to-last track, “Horizon.” Everything is starting to settle, and that’s unsettling. Out Among The Stars is the eagerly awaited album from Johnny Cash’s lost era, when Cash reached a slump in his career. The album is a collection of recordings made in the early ’80s, which were dumped by studios and remained lost until uncovered by Cash’s son in 2012. In its entirety, Out Among The Stars is an interesting collection, equally as powerful as it is uneven. The album is probably its strongest with the songs that return us to the outlaw-country style that made Cash famous. Hitting the ground running, we start with “Out Among The Stars.” Describing a teenager’s shoot-out with the police, it combines a rhythm that’s simultaneously upbeat and oddly haunting, all the while delivering some incredibly powerful lyrics. The lines “he knows that when they’re shooting at this loser, they’ll be aiming at the daemons in their lives” gave me chills when I first heard them. But even this track is not as serious as “I Drove Her Out Of My Mind.” I won’t spoil what this song’s about, but rest assured it’s Cash’s dark wit at its best, up there with classics such as “Cocaine Blues” and “Boy Named Sue.” The bittersweet “She Used to Love Me A Lot” and the fast and funny “If I Told You Who It Was” also deserve some honorable mentions. As for the rest of the album, there’s nothing really wrong with the other tracks, but there’s also nothing really special about them either. Songs such as “Call Your Mother,” “I’m Moving On,” and “Don’t You Think It’s Our Time” are all decent country songs, but they just seem to lack that punch that made Cash the legend he is. The biggest flaw with the album is simply that the songs don’t seem to flow together. Some are angry and bitter, others joyful and endearingly optimistic, but overall the progression just doesn’t feel right. As a result, more experimental tracks such as the heavily religious “I Came To Believe” and the rockabilly infused “Rock And Roll Shoes” almost seem a little baffling when they come in near the end of the album. 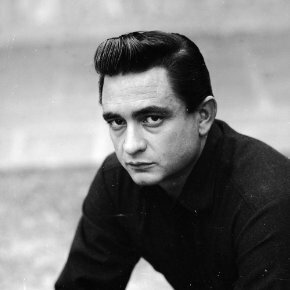 Nevertheless, for fans of The Man in Black, the album is still a must. As for those a little less familiar, it’d probably be best to see the album as a musical pick-and-mix: take the ones that speak to you and feel free to leave the ones that don’t.